As one of Russia’s aging marine research vessels burns at port in Murmansk, scientists warn there is no capacity left to do ecosystem mapping. The fire onboard the «Vilnyus» started early morning on the 1st of November and destroyed the ship’s freezing and storage chambers, as well as the fish processing unit. 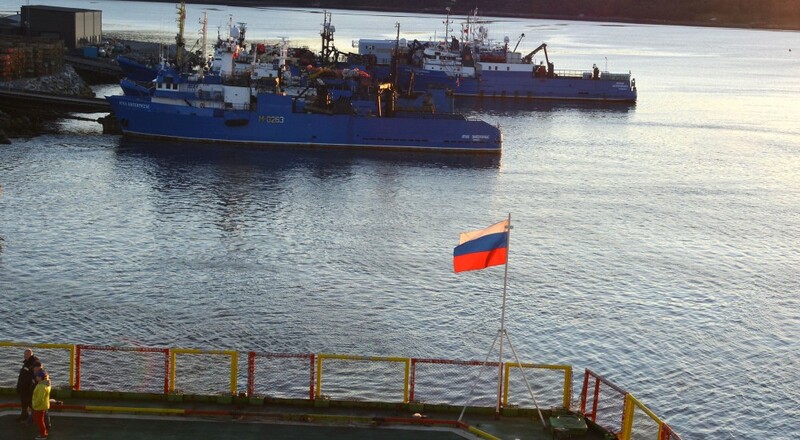 The vessel was docked at the Murmansk Fisheries Port and no-one was hurt, the local emergency authority informs. But the ship is unlikely to ever make it back to sea. 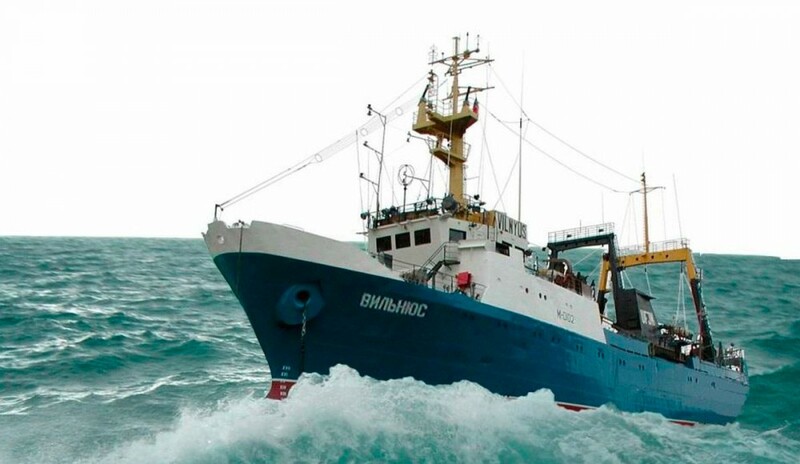 The «Vilnyus» was one of regional fisheries research institute PINRO’s few operational ships and has for years taken part in ecosystem mapping in the Barents Sea, often in cooperation with Norwegian researchers. It was an aging ship built in 1984 and technical problems were abundant. This year, the «Vilnyus» and its crew had to skip major parts of the major annual ecosystem mapping expedition conducted together with the Norwegian Marine Research Institute becasue of the problems. Both Russian and Norwegian researchers despaired. The mapping is considered of crucial importance for the annual fish quota regulations in the region. The «Vilnyus» was probably ready for scrapping in any case. But the fire onboard the ship has still raised to the forefront Russia’s need for new research vessels. The country has major ambitions in the field of marine research and Prime Minister Dmitry Medvedev earlier this year made clear that he wants Russia to become among the top five countries in the world in studies of the sea. «We have to get involved in the study of the World Ocean,» the premier said in a cabinet meeting. «We have to engage special research vessels with unlimited range in the studies of the Arctic and Antarctic», he underlined, a report from the Federal Fisheries Agency reads. Several ships are planned built. But it will take both time and money. The Federal Fisheries Agencies aims for construction of three new vessels for ecosystem monitoring, but so far allocations from government is scarce. According to newspaper Kommersant, the Agency has got only 900 million rubles (€12 million) for a ship design study. One vessel is estimated to cost at least 10 billion rubles. And the development phase could take up to four years. The first preparation phase is conducted by the Alekseev’s Design Bureau and was to be completed by first half of 2018, Fisheries Agency leader Ilya Shestyakov told Kommersant. The Fisheries Agency today has a fleet of 30 aging ship, of which 21 are in operation. That number is to be cut to 18 by year’s end. With the loss of the «Vilnyus», that number will drop to 17. Russia is a superpower in international fisheries and its pelagic stocks are of big importance both for the country itself and its neighbors. Following the technical problems with the «Vilnyus» this year, the Norwegian Marine Research Institute made clear that it was ready to let one of its vessels engage in ecosystem mapping also in Russian waters. The comprehensive joint Norwegian, Russian ecosystem mapping in the Barents Sea has been conducted annually for the past 14 years and is of crucial importance for the setting of the catch quotas by the two countries’ joint Fisheries Commission. With the breakdown and subsequent loss of the «Vilnyus» the Russian side might not be able to follow up its obligations in the cooperation. Research Director at the Norwegian Institute of Marine Research Geir Huse confirms that his institute will apply for permission to enter Russian waters during next year’s ecosystem expedition. In a meeting with Russian Fisheries Agency leader Shestyakov in mid-October, the two sides signed a protocol which underlines the importance of comprehensive ecosystem mapping of both the Norwegian and Russian sides of the Barents Sea. It is not only the Russian ecosystem researchers that suffer from lack of vessels. Also other key research institutes in the country are unable to fully meet objectives because of aging fleets. Among them is Roshydromet, the meteorology institute. In an interview with Kommersant, Roshydromet leader Maksim Yakovenko admits that his institute has a «critical situation» with regards to its Arctic fleet. «It is connected with money,» Yakovenko says, and makes clear that a good research vessel for northern conditions will cost up to 15 billion rubles. The institute now has a fleet of 19 vessels, the newest one is the «Akademik Tryoshnikov» from 2012. Some money is in the pipeline. The Russian government has allocated 28 billion rubles for the period 2019-2024. That is to cover the building of two new research ships. Unlike many other newspapers, the Barents Observer has no paywall. We want to keep our journalism open to everyone, including to our Russian readers. The Independent Barents Observer is a journalist-owned newspaper, and it takes a lot of hard work and money to produce good stories about developments in the North. We therefore got a small favor to ask; make a contribution to our work.